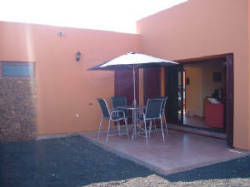 Situated on a brand new development close to the best beaches on Fuerteventura. 5 minutes from Corallejo the most popular resort on the island. Restaurants and bars situated around a harbour area that has an atmosphere all of its own. The villa can sleep 6 people with the utilisation of the sofa bed in the lounge. It is tastefully decorated and is furnished to a high standard with everything that you would expect at home. 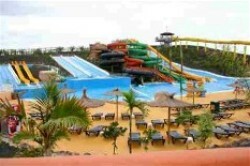 This is an ideal location for a quite family holiday in a climate that is the envy of the world. Close to the beaches. The beaches on Fuerteventura are of white sand and the sea is turquoise against the black volcanic stone they are spectacular. Balance to be paid - 6 Weeks prior to hol to arrival.